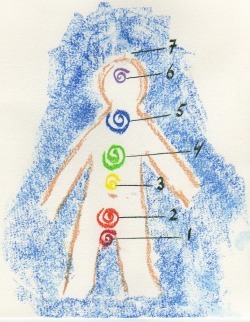 Why is Reiki good for kids? Reiki is ideal for children because in the process of receiving Reiki, they learn about their bodies, their inner spirit, their personal power and their connection to the universal life force, which is universal love. Babies love Reiki and it is a wonderful gift for newborns having challenges self soothing, such as preemies, and for colic pains. Reiki sessions for children are usually shorter than adults as their bodies are open and receptive to receiving the energy, however, depending on the age and reason for the session can last between 30 minutes to 1 hour. Family sessions can be used to aid in healing when health problems exist, facilitate bonding, or strengthen a family goal among other things. Schedule a family session today and receive the benefits of greater connectivity with each other, aid in each others healing, and support your family's overall health. Love heals all things, especially the love of a parent, care taker, sibling, or other caring individual during a session. For children, it is empowering for them to being able to send focused love with their hands when I integrate them in the healing session to someone they care about. All sessions are customized to meet the particular needs of each group and will be priced appropriately.